What Is a Mechanic's Lien and What Does It Do to Your Car? You’ve taken your car to the shop and now you can’t pay for the repairs. Sometimes, owners receive a bill at the end that isn’t what was agreed on. What happens next? They have every legal right to keep your car until the charges are paid for. No matter what your reason is for not settling the bill, you might be facing a mechanic’s lien against your vehicle if you don’t pay them. What’s more, scammers have figured out how to use this to their advantage and steal people’s cars! Let’s take a closer at what this means for you and what you can do about it. What Does a Mechanic’s Lien Mean? The mechanic’s lien is a legal tool used by auto repair shops to collect debts for the automotive work that was completed. 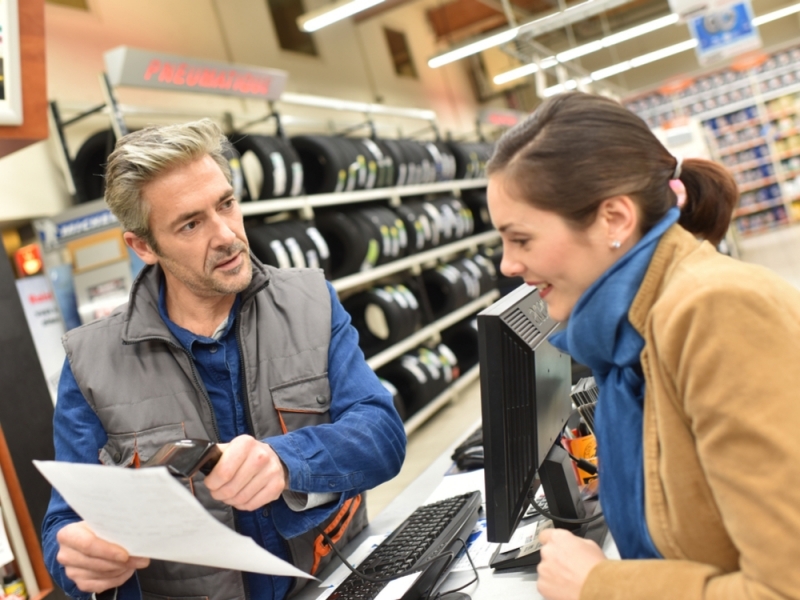 When the mechanic repairs your vehicle, they have the right to receive payment for their work and any parts used, as one would generally expect. How do you get a mechanic’s lien? If you refuse to pay your repair bill, whether it’s justified or not, the shop has the legal right to put a mechanic’s lien against your vehicle. Each state requires a different process for the mechanic to place the lien on the vehicle, but it usually only requires that they file some paperwork with the local DMV. This legal claim is valid for the value of the amount of repairs plus some additional costs as determined by the situation. You won’t be able to pick up your car or sell it until you satisfy that debt. The auto repair shop works on your vehicle. You decide not to pay the repairs. The shop will hold your car for 30 to 60 days with the mechanic’s lien. If you settle on the bill, you receive your car. If you don’t pay them, they will advertise a notice of public auction to sell your car to the highest bidder. Then, the auto repair shop submits the notarized paperwork which shows all communication with you, proves all conditions were met and includes a copy of the repair bill. The DMV issues a clean title to the new buyer and you’ve lost your car. Why are Mechanic's Liens Allowed? When you agree to let the mechanic work on your vehicle, they buy the parts needed to repair your car. Then, they put the work into fixing it and pay the employees who perform that service. By choosing not to give them what they are owed, they are out that money and also the money they could have made working on other vehicles during that time. That’s why the law protects the shop by allowing them to take possession of your property. Yes. Mechanic’s liens are usually upheld in court cases… assuming they’re legitimate. This is all assuming that the shop is acting with integrity and you legitimately aren’t paying them. There are, of course, bad apples out there that will take advantage of the mechanic’s lien right. Should You Buy a Car With a Mechanic’s Lien? This is a valid question as you search to find low-cost cars to buy. Sure, you can attend a public auction and probably get one hell of a deal, but is it worth it? That’s something you have to ask yourself. If the previous owner had loan on a car and sold it to you, you could be left holding the bill. Here’s how to avoid hidden liens with one easy step. There are two concerns to keep in mind. First, it’s possible the car is a piece of junk which is why the owner intentionally abandoned it in the first place. Think about it; the owner knows exactly what was wrong with the car and probably realized that the vehicle wasn’t worth the cost of repairs. Do you really want that headache? The other concern is the person selling the car. If they are getting mechanic’s liens on reliable vehicles, did they use poor business practices to get it done? Do you want to get involved in a transaction with someone like that? In the car title recovery business, we’ve seen our share of companies that participate in some shady business dealings. One of these is to use a mechanic’s lien to replace a title. The mechanic’s lien was never intended to obtain a title for someone taking possession of a car. That doesn’t stop some other car title recovery companies from using this to make life “easier” on themselves. What you need to know is that misusing the process is subject to civil and criminal liability. You may even lose your title in the process. In fact, in Indianapolis, two people were charged for using mechanic’s liens to strong-arm more than 270 cars away from their owners and then resell them. This just further proves the corruption that exists and why you want to stay far away from any mechanic’s lien, whether you’re buying a car from an auto repair shop or using a title recovery service. How Do You Get a Lien Release? Once the lien is placed against your title, you need to get a release of lien, otherwise known as a cancellation of lien before you can do anything with the vehicle. This document is provided by the claimant in exchange for your payment. The tricky part about this is that many claimants don’t want to draw this up until you actually pay them. This gives you no guarantee that you’ll get the car once you release the payment. What you should do is request the release of lien first, if possible. If you need to make partial payments on the vehicle, this gives you some additional protection in the end. Then, once your final payment is made, the mechanic needs to take the steps to release you from the lien as promised in the paperwork. Can You Sell a Vehicle with a Lien - and Should You? Before making a decision, learn the ins and outs of selling a vehicle with a title lien. The best way to avoid a mechanic’s lien is to pay your bill, but it isn’t always as simple as that. Some shops give the customer a bill that wasn’t agreed on or is much higher than expected. Then what do you do? Unfortunately, you don’t have much to argue about. While your car is sitting in their shop, they hold the upper hand. Your best bet is usually to pay the bill, keep copies of everything and fight them in court to get your money back. Otherwise, you risk losing your vehicle. With that said, it’s vital that you know the reputation of the auto repair shop you use. To avoid any mechanic’s lien scams, you want to give your business to someone that has proven themselves to be trustworthy and reliable. Saving a few bucks isn’t worth risking your car to a shady, unreliable service shop. If they are willing to try to “steal” your car, what else will they do?